I thought I'd do a quick run-through of what we got and my first impressions after playing some of them. This game got a lot of buzz and has won several awards for its art, production value, entertainment value, and accessibility for new gamers. We've played it a couple of times after coming home from the con and it's a fun, casual, relaxing sort of game. If you're just getting into the hobby or looking for something to play with a partner who's maybe not a gamer, I'd recommend it. We've been playing Battletech with Catalyst's revised rule set (which is very compatible with the old FASA rules) for a long time, so game-wise this was nothing new to us. However, the minis in this set are great. They're much more substantial than the other Battletech minis we have (some of which are at least 20 years old by now). 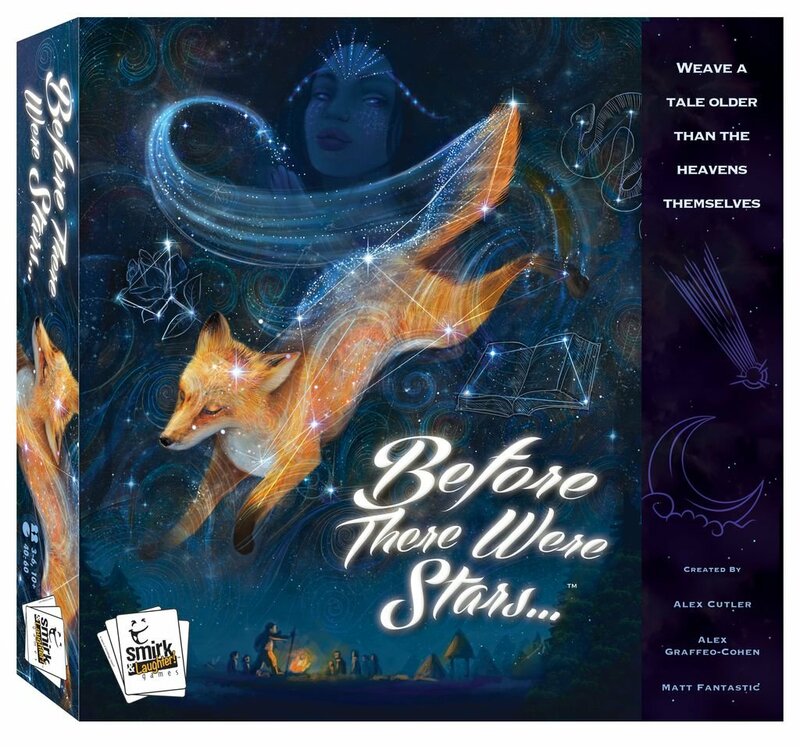 This is a unique storytelling game in which you roll dice to create a pool of stars, which you use to buy constellations to form your night sky. Over a series of four rounds, you use the constellations as inspiration to create and tell the creation story of your people. Then, players secretly vote on the moments within the stories that connected with them the most. It's a very unique game and super fun. This is probably the game I was most excited to pick up and I'm really glad I did. Our gaming group has enjoyed escape room games and games like TIME Stories and Sherlock Holmes, so this was a must-have for us. 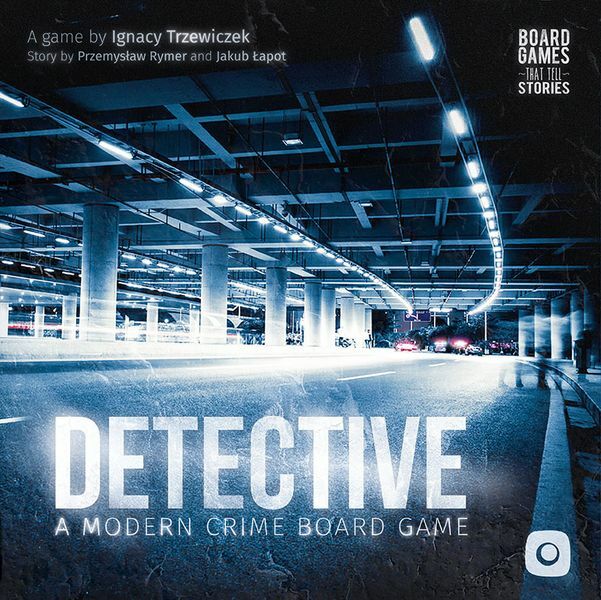 It's a legacy-style deduction game in which players take on the roles of police detectives trying to solve crimes. We haven't played it yet, but reviews state that the game is super immersive. 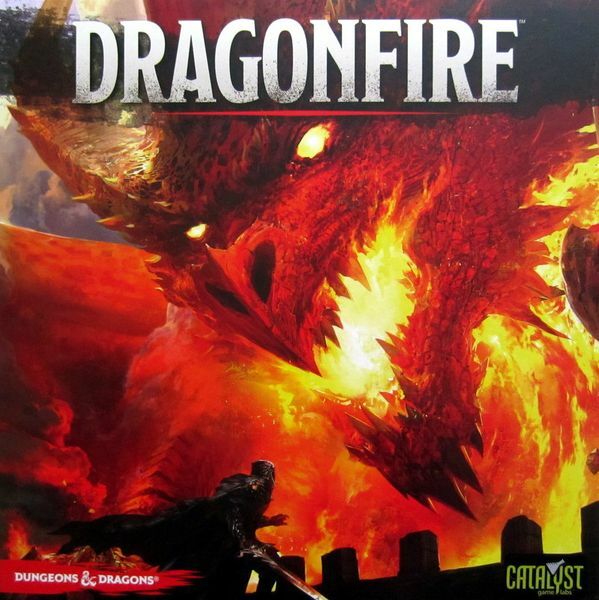 A D&D universe co-op card game, Dragonfire is an interesting take on the traditional deck builder, where players team up to fight monsters. I've played it a couple of times and we lost badly both times, but the game is fairly straightforward, fast, and fun. It has some legacy-ish components, so if you're not keen to put stickers on player mats, be prepared to make character sheets. 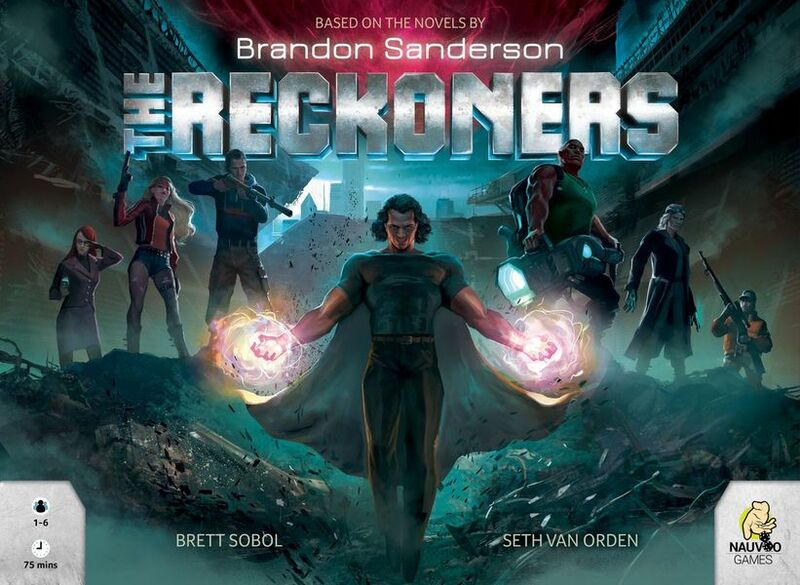 The prequel to Gloomhaven (which I love), this game has gotten some mixed reviews, but I think it's a matter of expectations not meeting reality. You can't go into this one expecting a Gloomhaven-like game. Instead, it looks like an interesting and pretty heavy-weight tile-laying game. We haven't had a chance to play it yet. 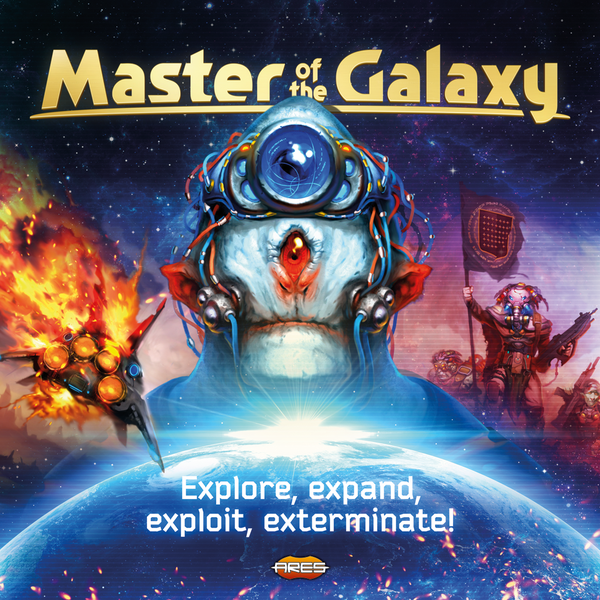 This game claims to be a "fast" (2hrs or less) 4X space game. I like 4X space games, so I got it. I know nothing else about it yet other than that I like the artwork and components, nor have I had a chance to play it. I'm hoping to this weekend, if ConCrud the Protomolecule doesn't kill me first. 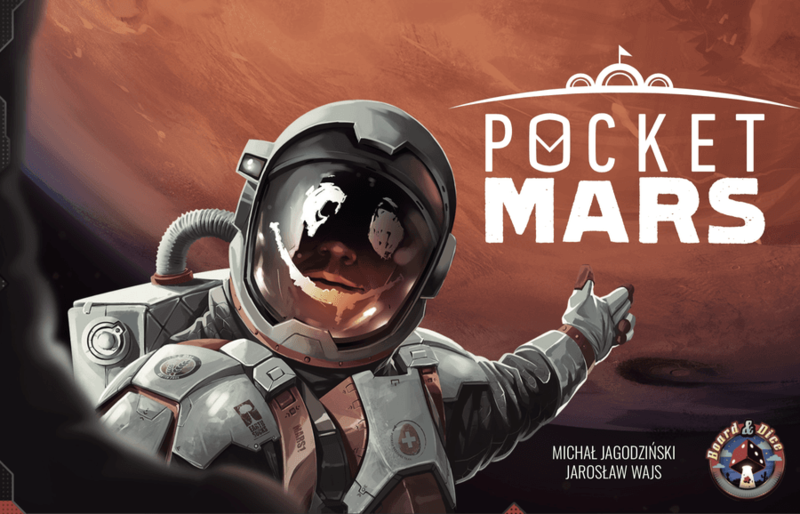 I'm a sucker for Mars games... I really am. That's all there is to it, really. This is a little area control card game where you work to establish infrastructure for the first Martian colonies. It's a short, 15-30 minute game with a few variations on game play and plenty of options. Despite its short length, I somehow haven't tried it yet (because I feel like I was infected with the Protomolecule at the Expanse book signing and right now just sitting here typing is a struggle).... But I'm looking forward to trying it out! 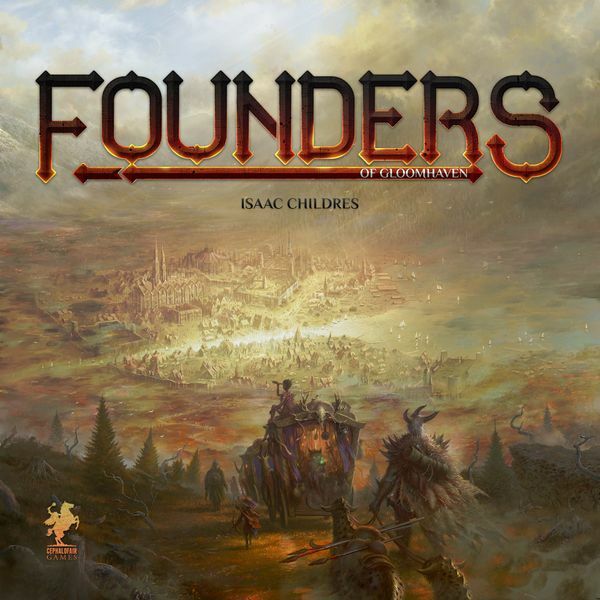 This is a much-anticipated cooperative dice game based on the series of novels by the same name, which I have not read. I've only played a 2 player game of this so far and, to be honest, it kinda felt like a race with only one clear strategy. It sure is amazing to look at, but unless I'm missing something, the gameplay is a lot more linear than I'd like. It was fast and entertaining. I just expected more. Rich likes it quite a bit. I think the theme really appeals to him, too. 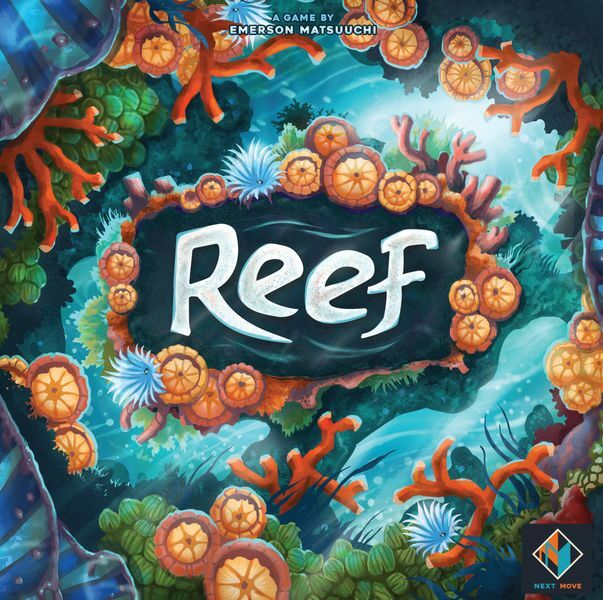 The next game in the series of "games with 4 letter names" from Next Move Games (boardgame companies do some weird "series" stuff sometimes), Reef is the follow-up to Azul. 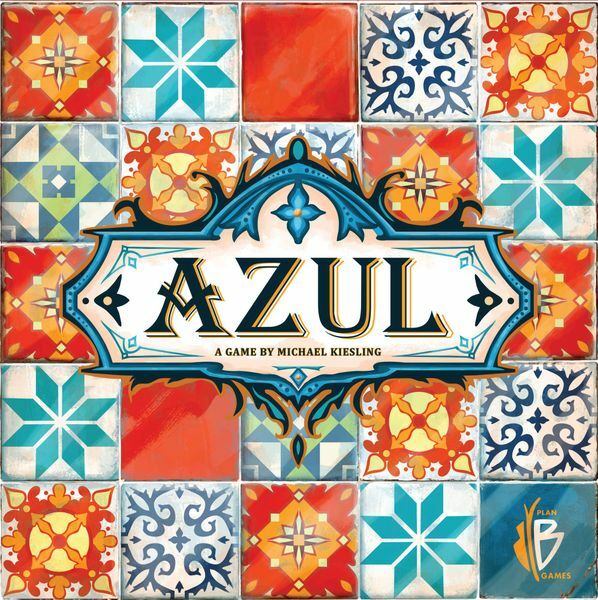 Much like Azul, it's lovely to look at, accessible to new gamers, and has a very non-threatening theme. In Reef, you're building a coral reef with these great, heavy-duty resin components. Then you score points based on the patterns you create. I've played this a few times now and I have to say, while I like Azul a lot, personally I like Reef even more. We also bought the "Fish" mini-expansion, which lets you add some adorable fish to your reef and score points/affect coral placement based on their position. It's a simple add-on, but definitely makes the game more fun. Uh, this is a cooperative deduction/adventure game with a mobile app component. Fortunately, the game gets good reviews, because we actually bought it by mistake. There was some misunderstanding/communication mix-up between me and Richard (totally my fault) in the crowded vendor hall. I'd actually meant to get Rise of Tribes. Woops? I'll have to report back after playing this. Who knows? Maybe I made a Happy Accident. This is an abstract game that, in reality, has nothing at all to do with its theme, but if you think about it at just the right angle, you can see how the them works, because the game is kind of meditative. It's hands-down the simplest game we bought at the con and is meant to be a light filler. 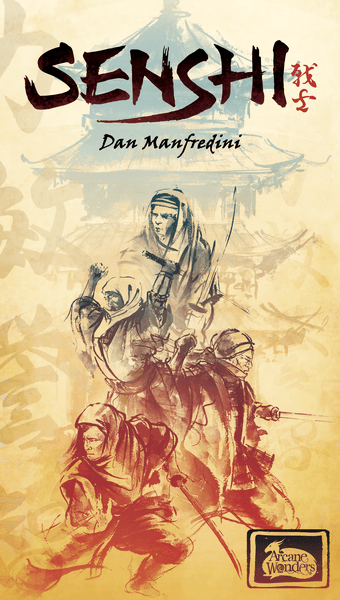 It has a little bit more strategy than you would expect, though, and for what it is, it's interesting (It was also only $12). Get your cyberpunk on. This game reminds me of a streamlined Netrunner, in that you're playing a hacker going after corporations. 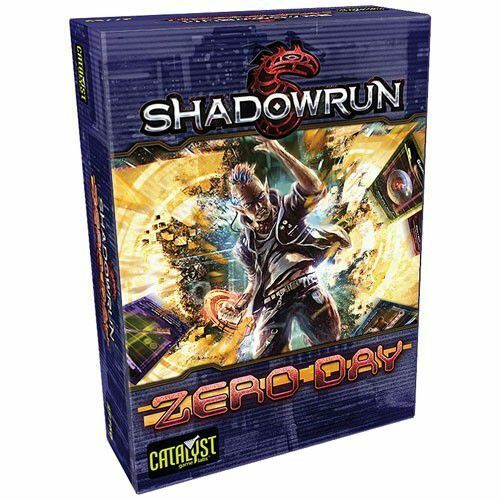 OK, maybe only the theme is the same, but Zero Day is certainly a lot easier to play. It's also a self-contained game vs. Netruner being an LCG... OK, forget I ever tired to compare them! The folks at the Catalyst booth were nice enough to give me a demo of this game while Rich was waiting in line to get Dragonfire and the Battletech box-set and I enjoyed the demo enough that I went ahead and added the game to the pile (I think we bought more from Catalyst than we did any other single vendor). There's some unexpected strategy to the game in that, sometimes, the best way to win the overall game is to lose individual encounters. Fun fact: I have the original pen & paper RPG that this game sprang out of. It came out back in the mid to late 90's and was a percentile-based system. For what it was at the time, it was pretty good. We haven't played the boardgame yet. It's a cooperative dungeon crawl, similar in feel to Gloomhaven, but it plays very differently. It looks like it has more secrets and hidden elements than Gloomhaven, though, which should be fun. 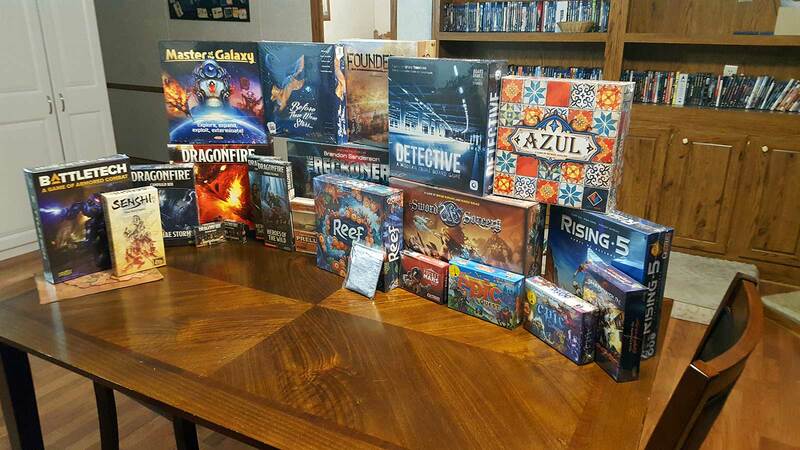 The base game is not nearly as vast, but there are many expansions. 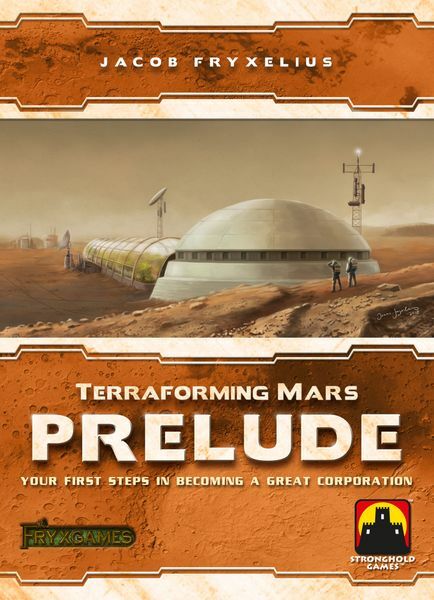 This is an expansion to Terraforming Mars that, from my understanding, lets you play games during the early days of the Martian corporations. We haven't played it yet, but Terraforming Mars is a game I love, so I'm looking forward to adding this to the mix. 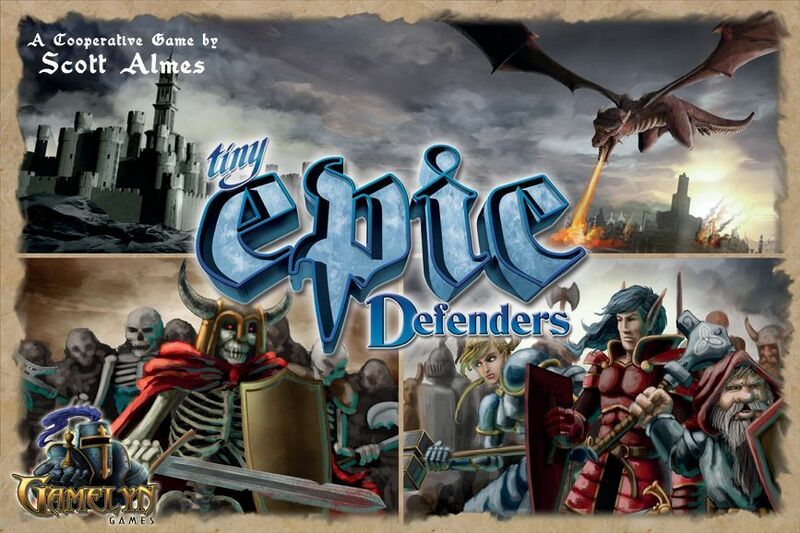 The "Tiny Epic" games are a series of games with a lot of gameplay packed into a small box. Admittedly, it can feel a little gimmicky for some of the games (Tiny Epic Galaxies is a fun game, but really would have benefited from larger player mats), but we've found them to be good games, none the less. 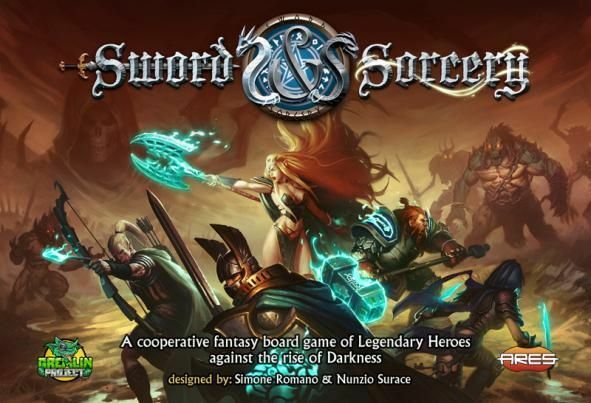 TED is a cooperative fantasy game for 1-4 players. We haven't played it yet. I expect it to be enjoyable, but nothing mind-blowing. 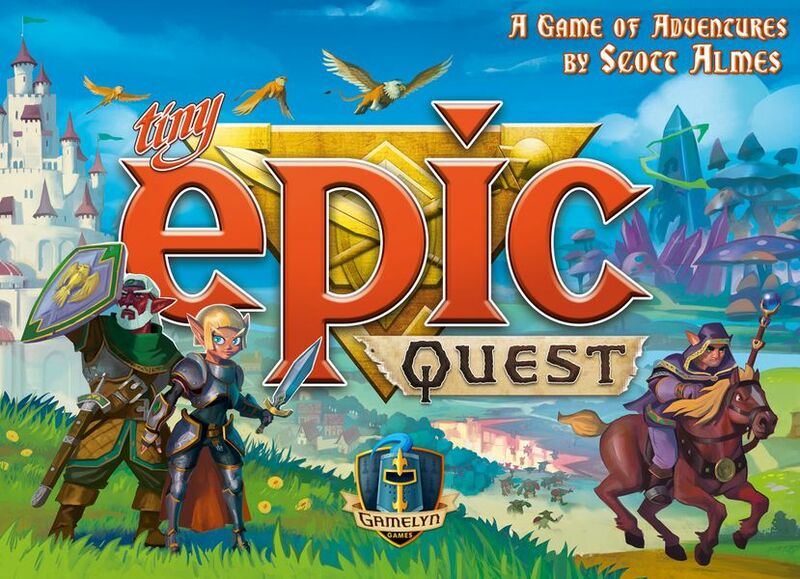 That said, we also picked up Tiny Epic Quest and... how can I describe it? It feels like playing an old-school Legend of Zelda video game. It really does. It has a unique shared dice pool mechanic, which I'd never seen in a competitive game before, and the game is limited to five rounds; no more, no less. It's light-hearted, it's fast-paced, and it's quite fun! 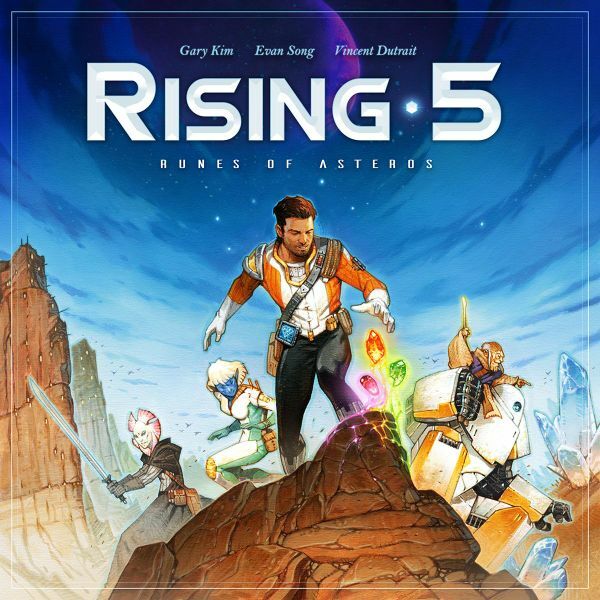 We've played it a handful of times now and I enjoy it more than I expected to. Whew! That's a lot of games! Yes... Yes, it is. This was basically Nerd Christmas and we treated it as such. Actual Christmas will be smaller this year, for sure.... but you can bet we'll spend the holiday playing a lot of games. That said, there were some games that we went into the con expecting to buy, but didn't get for various reasons. If we'd gotten them, they would have taken the place of others on our list, since we'd set a strict budget that we weren't allowing ourselves to go over. Forbidden Sky - The third in Pandemic creator Matt Leacock's "forbidden" games, this thing sold out almost instantly. Rich and I both really wanted it, but we didn't expect to actually make it to the booth before they were gone and, well, we didn't. The Captain is Dead - The premise sounded amusing and they were launching a new expansion at the con. Once we saw it in person though, it just didn't look like one that would have staying power with us so we gave it a pass. Wanted: The Cult of Barnacle Bay - We gave it a look over and it looked fine, but ultimately, with the purchase of Sword & Sorcery already made and Gloomhaven and several other games in the genre already on our shelves, we decided that we had enough co-op dungeon crawls to last us a while. The Rise of Queensdale - Similarly, we decided that we have enough "build a fantasy land" legacy games at the moment. Gearworks - I like steampunk as a game genre and this sounded interesting, but when I watched a demo of it, it just didn't grab me for some reason. I couldn't really put my finger on it, but I was pretty 50/50 on whether or not I wanted it after seeing it, so we decided to save the money for something else. Too Many Bones - Too Many Bones was too many monies. We couldn't justify dropping $120 on a game at the con when there were so many other games we wanted to check out. Most of our other purchases where in the $40 range. That's three games!